Returning to the ruins of a remote valley where he grew up, New Mexico folklorist Nasario García unearths memories of a time before the rains stopped, when the Hispanic villages flourished with stories of land, river, animals, magic and myth. 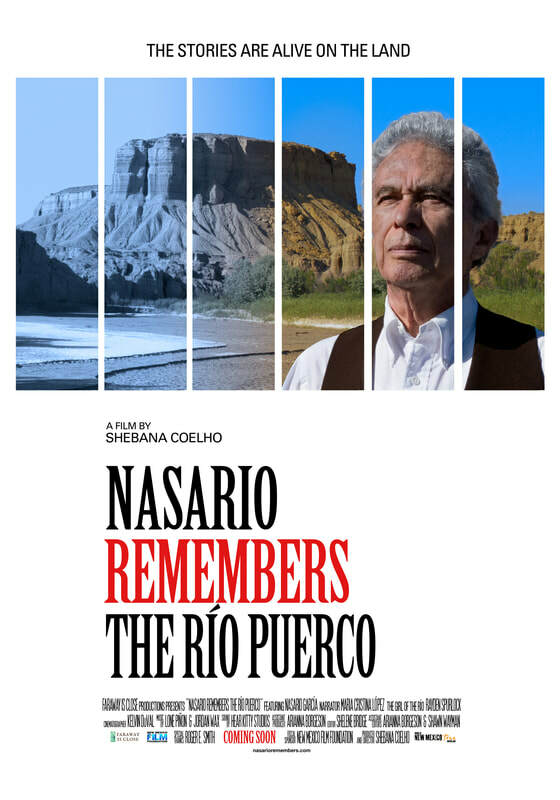 Nasario remembers the Río Puerco is a documentary by Shebana Coelho about landscape and memory, set in the ghost towns of New Mexico's Rio Puerco valley and featuring acclaimed oral historian Nasario García. The film combines footage of Dr. García and his stories amid ruins and mesas with archival photos, and lyric scenes that evoke the storytelling spirits of the valley. Together, these elements create a deeply-felt cinematic encounter between teller and tale, what is gone and what is left of memory, and coming home to the story that only you can tell. The film was broadcast on New Mexico PBS/KNME in October 2017 during Hispanic Heritage Month. Dr. Nasario García received a 2012 Lifetime Achievement Award from the Historical Society of New Mexico for his "unparalleled" work in the "preservation of Hispanic language, culture and folklore in New Mexico." We have beautiful opportunities for SPONSORS and DONORS as we go out into the world with this film about story, spirit and community. All donations are tax-deductible.